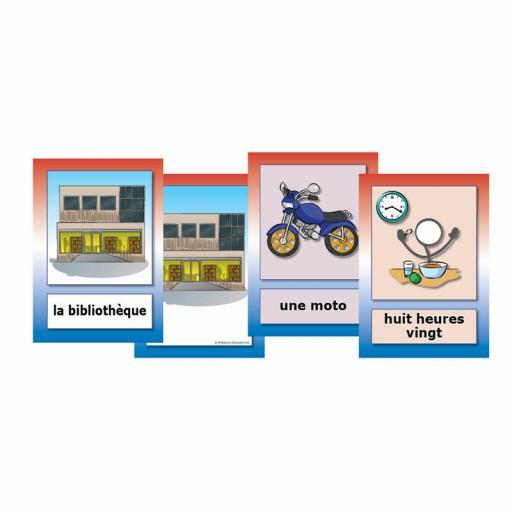 Colourful illustrated A5 flashcards to reinforce basic French vocabulary. 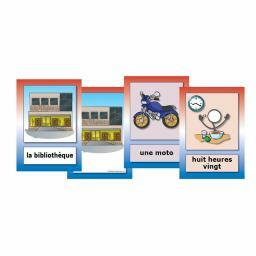 The cards feature an image and text on one side, and simply the image on the other, to allow for maximum versatility in the classroom. Use to introduce topic-specific language, for reference or revision purposes or as display materials.